Join us for a stimulating discussion of selected short stories. 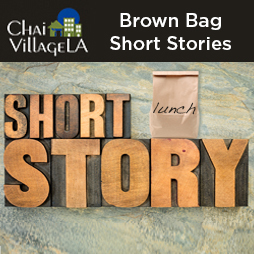 Bring a "brown bag" lunch and dine as we discuss two short stories from Oedipus in Brooklyn and Other Stories by Blume Lempel. Moderated by ChaiVillageLA member Radell Simon. REGISTER HERE | You will be able to download the short stories upon registration. All Temple Isaiah adults are welcome. If you have questions, please contact Kim Gold at KimZGold@gmail.com.